FUJIFILM North America Corporation, Graphic Systems Division announces tariff tax exclusions on its aluminum offset printing plates, currently making it the only major printing plate manufacturer in the U.S. to earn exclusion. 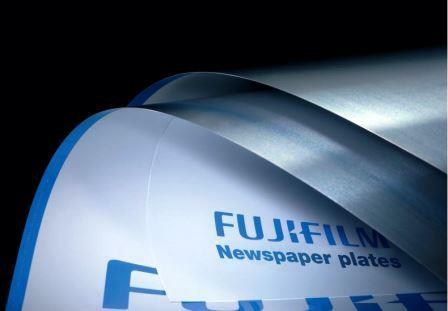 Fujifilm has proactively worked with industry associations and the Federal Government to address the unintended consequences of the tariffs applied to the sales of aluminum offset printing plates as an unfair burden on the graphic arts industry. The U.S. Commerce Department’s Section 232 tariffs on imported aluminum remain in effect; however, FUJIFILM North America Corporation, Graphic Systems Division has received exclusions on the majority of the 147 Exclusion Requests it filed several months ago. “Although the current Federal Government shutdown prevents Fujifilm from receiving further updates as to the status of our remaining Exclusion Requests and the process, timing and amount of refunds Fujifilm can expect on tariffs paid since June 1, 2018, Fujifilm remains committed to crediting plate customer accounts for every dollar of tariff tax that the Commerce Department returns to Fujifilm,” said Todd Zimmerman, Division President, FUJIFILM North America Corporation, Graphic Systems Division. Fujifilm is dedicated to providing American jobs and supporting local communities. At the FUJIFILM Manufacturing U.S.A. facility in Greenwood, South Carolina, more than 200 Fujifilm associates contribute to the overall printing plate manufacturing process within thermal, processless, and violet plate offerings; engineering 13 different types of plates. Once plates are manufactured at the sprawling 500 acre complex, they are stored in an on-site distribution center with dedicated inventories to meet plate customer needs in a timely manner. The nationwide warehouse distribution system utilized by Fujifilm minimizes handling to avoid potential damage that can be caused by using overseas container shipments. The exclusions are valid until approximately December 2019, and can be revoked by the Commerce Department at any time.